IBPS has conducted online examination for Clerk IV during the month of December 2014. And results for this examination have been released on 06.01.2015. Now Scores/Marks scored by the candidates in this examination have been released. 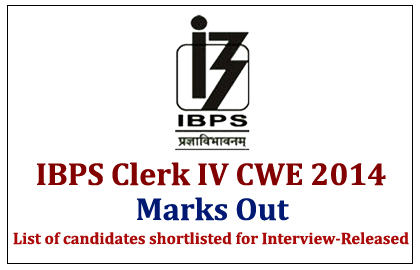 Candidates those who attended the IBPS Clerk IV Examination can check their marks here.